Hand-cooked English crisps. No artificial ingredients. Gluten free. 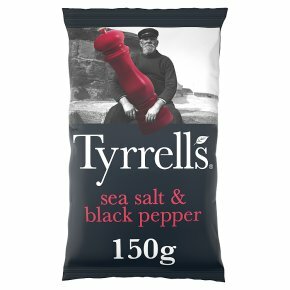 Suitable for vegans.A time-honoured marriage: sea salt and that most cracking of spices. They're made with the finest Herefordshire potatoes, complete with jackets, hand-cooked on the farm in small batches and spun to achieve our signature crunch.